Diabetes is the leading cause of new blindness for American adults between the ages of 20 and 74. The American Diabetes Association (ADA) estimates that 12,000 to 24,000 people in the United States lose their vision to diabetic retinopathy each year. But retinopathy is not the only eye disease associated with diabetes. Having diabetes also raises the risk of developing cataracts, glaucoma, and several other eye conditions that can cause severe visual impairment. 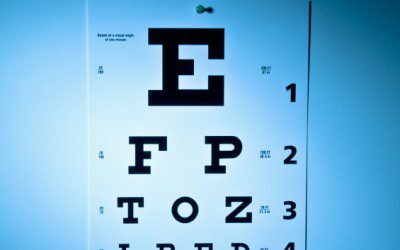 While in many cases severe vision loss can be prevented through attention to blood glucose and blood pressure control, the sad reality is that many people with diabetes are living with significant visual impairment. However, life doesn’t stop because of vision loss, and the good news is that there are many resources and tools to help people with visual impairment manage their diabetes and get on with their lives. Low-vision and blindness agencies are available in every state. Your physician, diabetes educator, or another of your health-care providers may be able to refer you to a low-vision or blindness rehabilitation center or agency or to an occupational therapist to help you learn to use the remaining vision you have, learn nonvisual techniques as necessary, and remain as independent as possible. Services offered by low-vision and blindness agencies generally include instruction in daily activities such as cooking, cleaning, taking medicines, identifying clothing, and shopping. Instruction also covers the use of adaptive devices, lighting, magnifiers, and computers, as well as orientation and mobility training. Employment accommodations and training may be offered. Some individuals may learn to use Braille. Many of the instructors who work in low-vision and blindness agencies are certified by the Academy for Certification of Vision Rehabilitation and Education Professionals in low-vision therapy, orientation and mobility, and vision rehabilitation therapy. Orientation and mobility training can help a person to move safely in or out of his home. Training may include the use of a white cane, guide dog, or sighted guide. Learning and using good orientation and mobility skills will have lifelong implications for a person’s ability to participate in social, recreational, educational, and employment opportunities. There are many special devices – as well as creative ways of using ordinary household items – that can help a person with visual impairment read, communicate, cook, and perform other tasks at home or at work. The rehabilitation specialists you work with can help you choose tools that suit your needs and learn how to use them. Lighting. The lighting in your home should be evaluated to see that it meets your needs. For some people, bright light from a 100-watt lightbulb or a halogen light is best. Others may benefit from a filtered or tinted light to reduce eyestrain, while others use window shades or blinds to block harsh sunlight and decrease glare. For close work, the light source should be behind the person to decrease potential glare. Directional lighting (such as a gooseneck lamp) lights a task without shining light into the person’s eyes. Dimmer switches allow varying levels of lighting. Motion-activated lights may help prevent accidents in dark environments. Magnification. Magnifiers, strong bifocals, closed-circuit television systems, large print, and computer screen magnification programs are some examples of tools that can provide effective magnification for low vision. Small pocket magnifiers can be used to read labels or menus. Standing magnifiers can be used to read or view items at home or work. A closed-circuit television can help with reading the newspaper, mail, or medicine labels. Seek professional guidance before purchasing a magnifier so you don’t get one that is too low in power or too heavy or one that provides improper light. Computer adaptations. There are numerous ways to modify a computer to make it usable by a person with visual impairment. For example, software programs can change the text size, screen background color, or text color. Some people find they can read better with a dark background and bright yellow or white print. Screen magnifiers work like a magnifying glass for the computer screen. Screen readers speak everything on the screen, including text, graphics, control buttons, and menus in a computerized voice. Some programs are available in basic, free versions and other programs have free trial periods so that users can give the software a try before making a purchase. Writing aids. Felt-tipped markers create lines that are bolder and easier to see than lines created by ballpoint pens. (However, ballpoint may be required for certain legal documents.) Black print on yellow or ivory paper reduces glare and improves visibility. Use paper with bold lines to help you write in a straight line. If bold lines aren’t enough, plastic guides can be purchased to help you sign documents, write letters, fill out checks, and write addresses on envelopes more easily. Some banks will provide large-print checks, check guides to help fill in the correct spaces, and statements in large print or Braille or on cassette. Contact utility companies and others you deal with to request bills in large print or Braille. Home safety. Falls can be avoided in the home by making some relatively small changes. For example, place strips of reflective tape or paint 2- to 3-inch stripes of fluorescent yellow or orange paint on stairs to make each step more visible. (Some people may see black paint more easily than yellow or orange.) Remove throw rugs or use non-skid rubber-backed rugs. Use a rubber mat in the bathtub or shower. Have grab bars professionally installed in the bathroom; towel racks are not strong enough to support you if you slip. Some other ways to stay safe include painting dots of silicone, fabric paint, or nail polish on household appliances to mark temperatures used or start buttons. Painting the 9 and 1 numbers on the phone can make dialing 911 easier in an emergency. Cooking is a complex task that can make use of many adaptive tools and techniques. For example, mobility and orientation training may be necessary for grocery shopping. A magnifier may be necessary for reading package labels or recipes. Some cooks may need cookbooks in large print or Braille or on audiocassette. Extra light or special task lighting in the kitchen may make cooking safer. And there are many specially made kitchen utensils that can make preparing and handling food easier for a person with low vision. Pouring liquids can be challenging. Using a container with a spout may make pouring easier. To decrease spills on the floor or counter, put your cup or bowl on a cookie sheet, pie pan, or tray when pouring or carrying liquid. Some people pour milk or juice into a colored glass to better see the level of fluid. A nonvisual technique is to place a finger inside a cup to judge fluid levels. You can also judge the level by sound and by how heavy the container feels. Some people prefer to use an audio liquid level indicator, which hooks over a cup or glass and beeps when fluid is about an inch from the top of the container. Measuring out portions of food with measuring cups or spoons will make your carbohydrate counting or exchange calculations more accurate. Look for measuring cups and spoons that are color-coded or marked with raised bumps or letters for easy identification. To make portions of foods such as breakfast cereal easier to measure, first pour the entire box into a resealable, wide-mouth, storage container. Measuring out small amounts of oil or salad dressing may similarly be easier if the liquid is stored in a wide-mouth container; just dip in your measuring spoon to remove the portion you want. Another way to judge portion sizes is to pour a measured amount of water or breakfast cereal into the cups, glasses, and bowls you commonly use and note how full they are. Restaurant serving tools such as ladles or scoops can help with portion control as well as improve safety when serving hot foods. Cutting food is easier and safer when a slicing guide is used. There are various styles of slicing guides, but most help hold the food steady while guiding the knife to make a straight cut. Using a cutting board also makes cutting food safer. Diabetes can be managed safely and independently with visual impairment, but it helps a lot to work with a certified diabetes educator or low-vision rehabilitation specialist to learn the ropes. The person you work with should be knowledgeable about devices that can assist with diabetes self-management such as talking blood glucose meters, bathroom scales, blood pressure monitors, thermometers, and prescription bottle holders. Devices that don’t talk but that emit audible clicks or beeps can also be useful. Insulin administration. Many people with low vision use insulin pens instead of syringes. With any pen, a new pen needle must be screwed onto the end of the pen for each injection. A “test shot” of one to two units is dialed in, and the delivery button of the pen is pressed, filling the needle with insulin. By holding one hand near the pen needle, you can feel a drop of insulin on your skin, and you may notice the smell of insulin. The desired dose is then dialed in by counting the clicks or feeling the raised bumps. Once the insulin has been injected, the pen should be held in place with the needle under the skin for a count of 5–10 to make sure the full dose is given. Count-a-Dose, a Medicool product, is a device for filling BD 50-unit syringes. It holds two insulin vials so that different types of insulin can be mixed, and it makes a distinct click that can be both heard and felt with each unit of insulin drawn into the syringe. Borin-Halbich, Inc., manufactures Safe Shot, a syringe loader that can be set once then used repeatedly to draw the same amount of insulin into the syringe each time. Insul-Cap, by Palco Labs, is a plastic cap that fits over an Eli Lilly, Novo Nordisk, or Aventis Lantus insulin bottle and guides the syringe needle into the bottle. The Ezy-Dose Injection Safety Guard is a large disk that can be placed under the stopper of an insulin vial. The user can then grip the vial without fear of an accidental needle stick. NeedleAid is a tapered device that is placed on the injection site. The syringe is inserted into the device, which then guides the needle during the injection process. The BD Magni-Guide snaps onto an insulin vial, guides the needle into the vial, and magnifies the syringe markings 1.7 times. Ezy-Dose’s Syringe Magnifier clips onto 50-unit and 100-unit syringes, doubling the size of the markings. Magnifiers worn on the head, magnifiers used for hobbies and crafts, or gooseneck magnifiers may also be useful for some people to see the markings on syringes. Some people who have visual impairment use insulin pumps successfully. None of the insulin pumps currently available have speech output. However, most insulin pumps have an audio bolus feature. Some insulin pumps have buttons that are easier to identify than others, and some insulin pumps have batteries that are easier to replace than others. If you wish to use an insulin pump, seek out a diabetes educator who is familiar with several models and can help you choose one you can use independently. Three meters are compatible with voice attachments. LifeScan’s OneTouch Basic and OneTouch SureStep meters can be used with the Digi-Voice voice attachment module made by Science Products. The OneTouch Basic and OneTouch Profile can be used with the LHS-7B voice attachment by LS&S Group. Both devices attach to the meter with a cable. However, even when using one of these devices, assistance from a sighted person is necessary to calibrate the meter when a batch of strips is started. People with some vision remaining may prefer to use a “nontalking” meter, possibly with a large display screen. Placing the meter on a nonslip mat in a contrasting color can make it more visible and help keep it from sliding around. A colored lancing device may be easier to see than a white one. Some people mark the strip insertion slot on their meter with a permanent marker to make it more visible. To get enough blood for an accurate reading, wash your hands under warm water to stimulate more blood flow to your fingers. Shake and hold your hand below your waist for about 15 seconds. Massage or milk the finger from base to tip to get more blood to the tip. Place a rubber band between the first and second joints of the finger to be lanced to help get a big enough drop of blood (see illustration at “Rubber Band Tourniquet Trick”). Do not use your thumbs or the index finger of the hand you write with to check blood glucose. Use a different finger for each day of the week. If you have problems finding the drop of blood, try lancing the finger in a pattern, using the fingernail as a reference point. For example, lance near the top of the right side of the fingernail at breakfast, the base of the right side of the fingernail at lunch, the top of the left side of the fingernail at supper, and the base of the left side of the fingernail at bedtime. This makes it easier to remember where the finger was lanced and locate the drop of blood. Foot care. Everyone with diabetes is advised to do a daily foot check. If you have some remaining vision, using a long-handled, magnified mirror can make examining your feet easier. When using a mirror, be sure to inspect the backs of your feet. Propping feet on furniture for long periods of time can cause sores. Nonvisual techniques can be used to inspect the feet as well. An unpleasant odor when removing socks may be the first noticeable sign of a fungal or other infection. Use your fingers to feel all areas of each foot after washing and drying the feet. Apply lotion during the foot exam. First, feel around and between the toes. (Do not put lotion between your toes.) Move the fingers to the outer edge of the foot, the heel, the bottom of the foot, and finally the top. Note any pain or changes in temperature or texture of the skin. Changes can mean corns, calluses, cuts, or infection. The back of the hand may be more sensitive to temperature change than the fingertips. If you notice any changes in your feet, have a sighted person check them. Medicine and supply management. Keep all your diabetes supplies and medicines together in a plastic container or cake pan. When you pour medicines into a pill organizer or into your hand, do it over a large bowl or other container. Pills are easier to find if accidentally dropped into a container than onto the floor. People who take a lot of pills sometimes remember to take them better if they use a pill organizer. Pill organizers come in different sizes, colors, and types. Some have room for a day’s worth of pills, some for a week’s worth, and some have even more space. Several pill organizers have an alarm that can be set to remind you to take your medicine. The MedReady pill dispenser even has a locking mechanism, allowing access to only one compartment at a time to prevent taking double doses by accident. Even if you use a pill organizer, you need to be able to tell which pill is in which bottle. One option is the Talking Rx, a talking prescription bottle holder that can play recorded directions. (It can only be used for one bottle at a time, however, so if you take several medicines, you would need several devices.) A less expensive option is to ask your pharmacist to use different size bottles for pills that could be easily confused because of their size, shape, or color. You could also use color coding, numbers, large print, Braille, or other tactile markings on the bottles to tell them apart. Wrapping a number of rubber bands around a pill bottle can help you keep track of the number of doses to take. If you take two types of insulin, wrap a rubber band around vials of one type to tell the difference. Everyone with diabetes is advised to make a list of all their medicines, allergies, doctors, and emergency phone numbers and to bring it to doctor appointments and to the pharmacy. Such a list can prevent drug interactions and improve communication. For people with low vision, the list should be in a format they can access such as large print, audiocassette, or Braille. Losing your vision does not mean you’ve lost your intelligence, knowledge, or skills, but you may need to learn some new ways of doing things to remain independent. Let your diabetes care team members know what areas you are having difficulty with so they can suggest resources or techniques to assist you. With proper training and practice, people with diabetes and visual impairment can manage their diabetes and other daily activities. Your goals to live confidently, independently, and productively can be achieved. Connie Kleinbeck is a Certified Diabetes Educator at Truman Medical Center Hospital Hill in Kansas City, Missouri, and a member of the Disabilities/Visually Impaired Specialty Practice Group of the American Association of Diabetes Educators.